Here’s a list why I am loving this month of October. 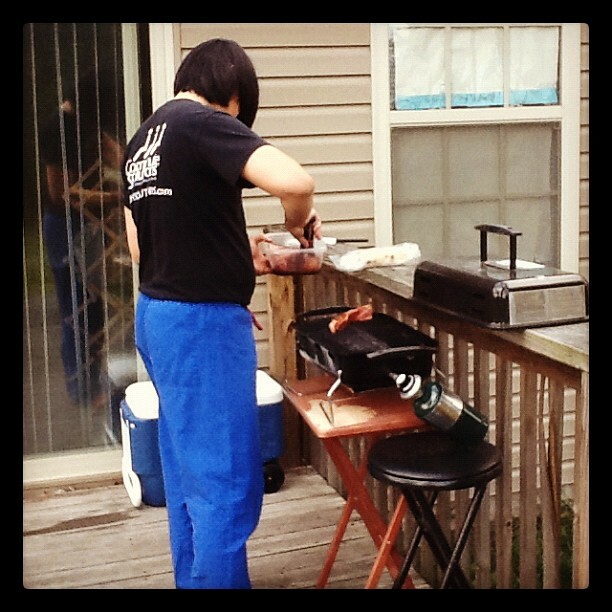 My husband loves to grill! He’s from Texas and he loves meat! We used to have this small charcoal grill from Wal-Mart but he got tired of how slow the charcoal would heat up and how much time it takes to cook food. 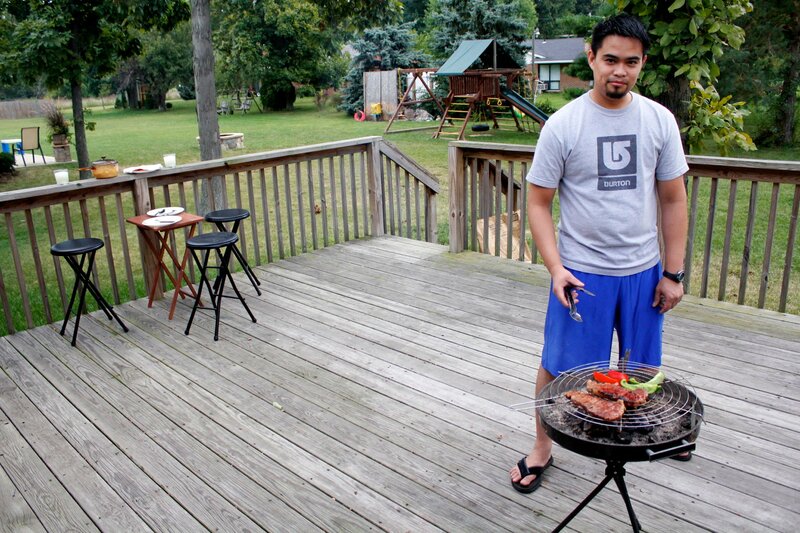 Then we bought a small gas grill. We finally thought about getting a big grill! So excited to have the new “real” grill! LOL! I am excited to no longer be boiling hot dogs and baking chicken all the time! 🙂 And I’m so happy that it’s not just me who’s cooking in this house. 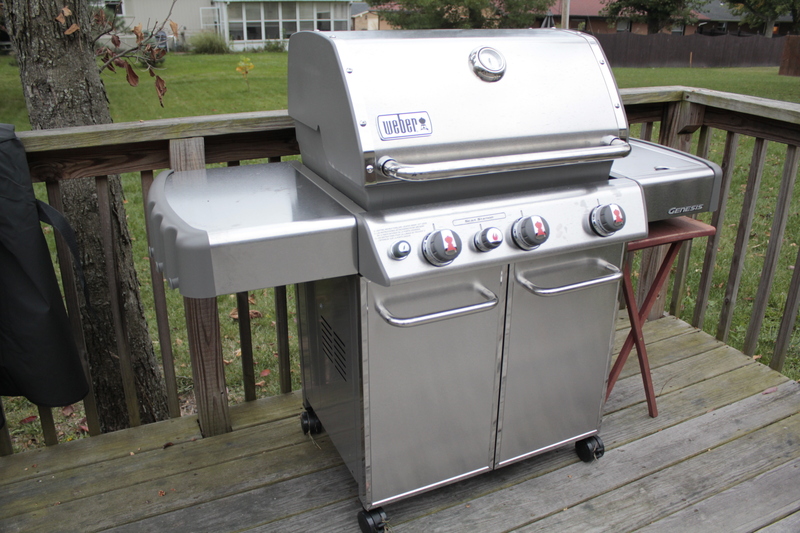 When this new grill came, my husband was the one who prepared and cooked dinner for the past week while I stay inside and wait. Two thumbs up for that! LOL! 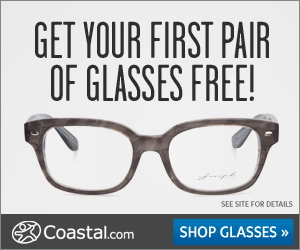 To all wives out there – *hint *hint! This is an effective way to put your husbands in charge of the cooking (*evil laugh*). He loves his new grill so much! 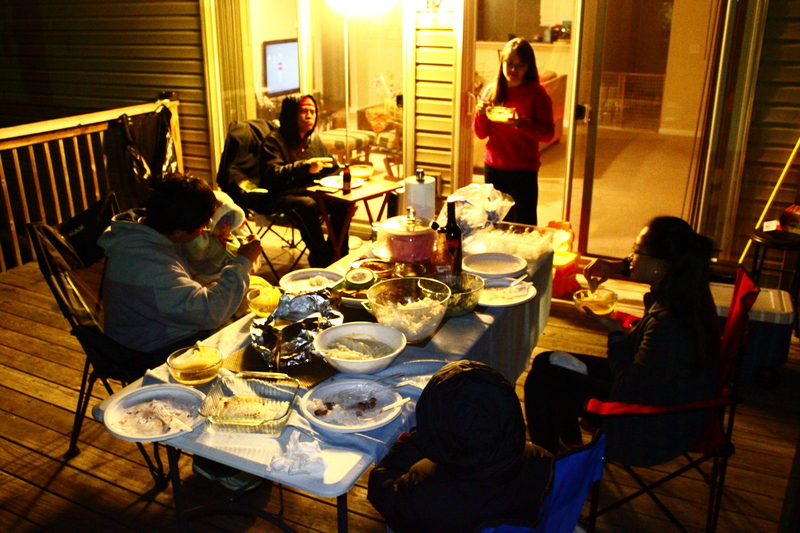 We invited our friends to come over for dinner to break it in. It was so convenient. I am so amazed how all the meats & veggies cooked together quickly. It was fun! 2.) Our First Cook Books! I have never really bought cook books in my life. 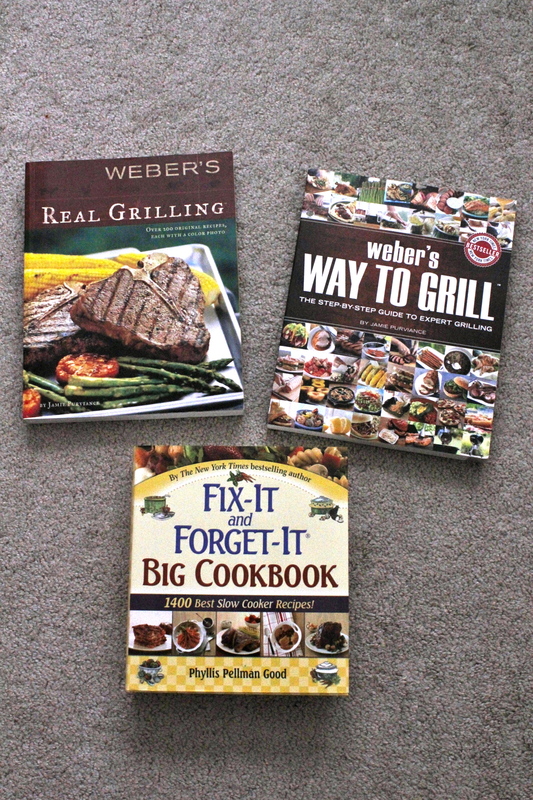 I have some cook books that were gifts that I have never really read properly or tried out any of the recipes. This is actually the first time my husband and I bought cook books for ourselves. 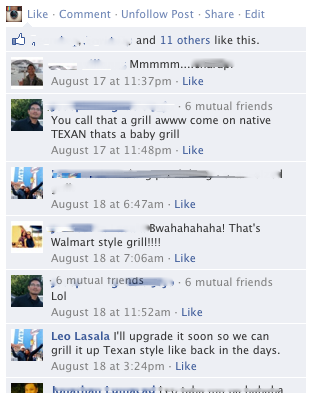 Since he’s raving about his new grill, he searched for good grill cook books online (amazon.com). He also got me one of those slow cooker cook books. Wait, why did he buy me that? I thought with the new grill, I’d be able to skip cooking, I guess not. Lol. 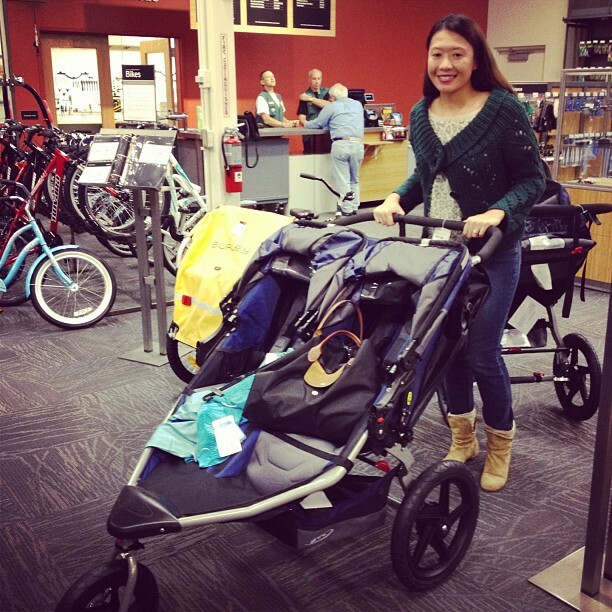 My husband and I love REI Store! 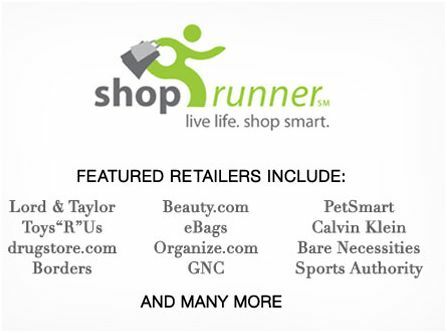 REI (Recreational Equipment, Inc.) is a national retailer that sells outdoor gear and clothing. It is where we usually get our snowboarding gears and other outdoor stuff. We used to shop and order through their website (www.rei.com) and I’m so excited that they just recently opened a new branch here in Cincinnati (Rookwood Commons). For me, this is the best outdoor store anywhere! So last weekend, we went to visit the new store. My goodies from the store. 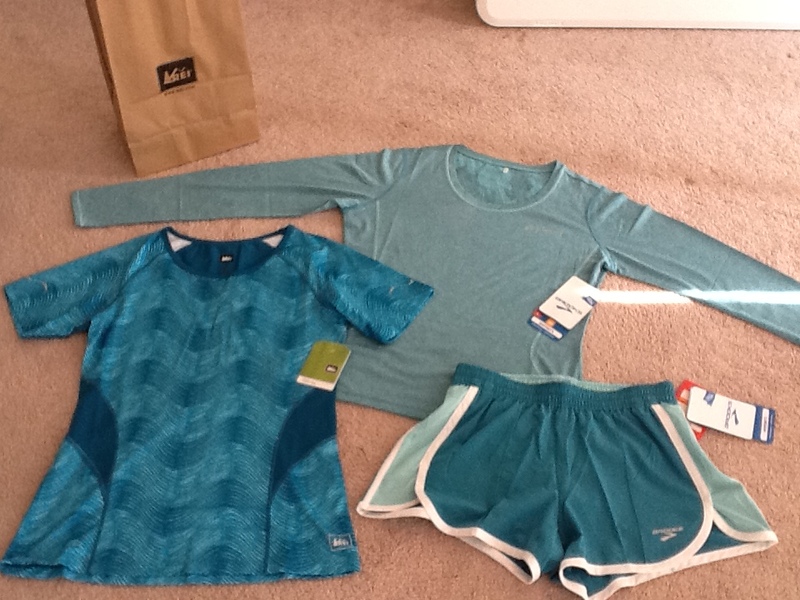 🙂 More workout clothes from Brooks Running! I’ve always been curious to know how it feels like running with this. 4.) We Are Snowboard Season Ready! Yes, we are! 🙂 I know a lot of you are dreading the cold weather, but we can’t wait to hit the slopes this year! I am also excited because my family from the Philippines are coming over to spend Christmas with us. Relatives and cousins from Canada are coming over too. It will be fun! My younger sister and brother from the Philippines would like to try snowboarding. So, in preparation for their arrival, my husband bought a roof rack for our snowboards. 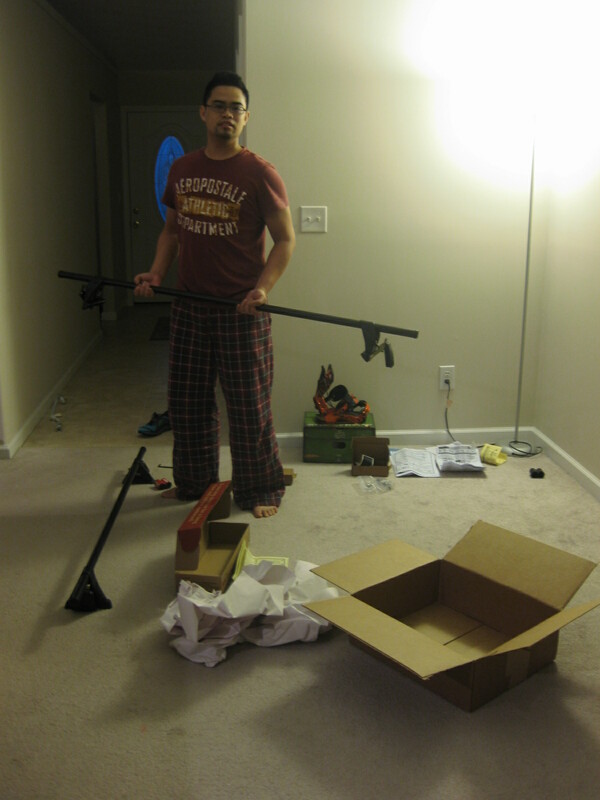 He ordered them at REI.com and bought some parts at the store last weekend. He was so excited about it. 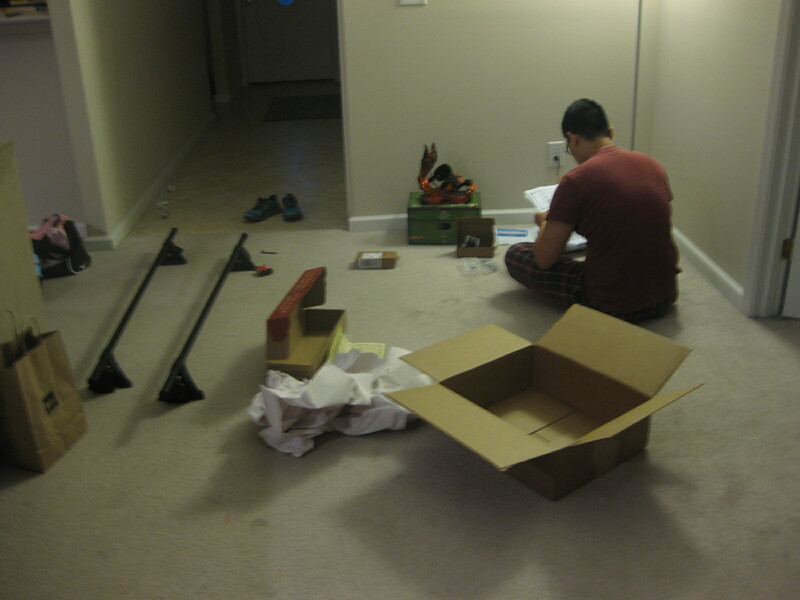 I woke up one morning and was surprise to find him busy fixing it. 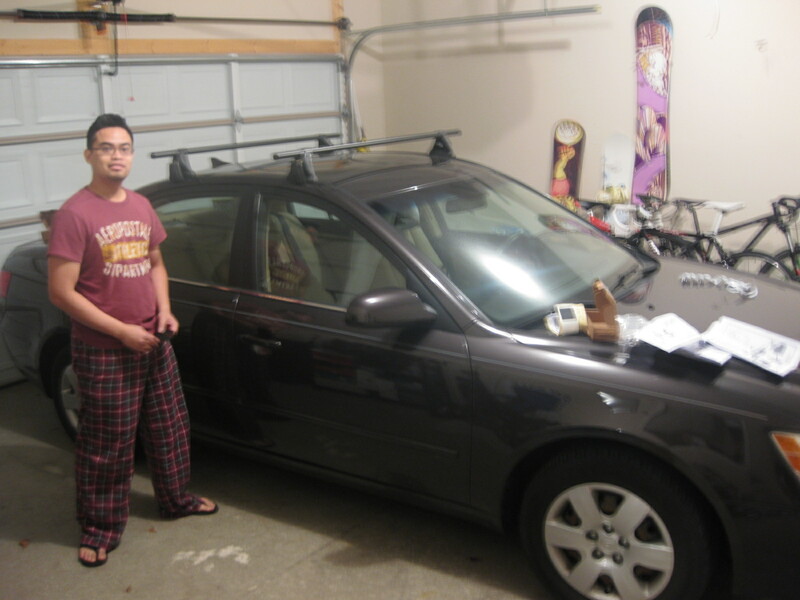 He woke up so early just to install the roof rack onto his car. I don’t know when to really replace running shoes but I’m already feeling discomfort with my old one. My husband thinks his running shoes are not the best kind for him. He’s been dealing with ankle pains with his shoes. 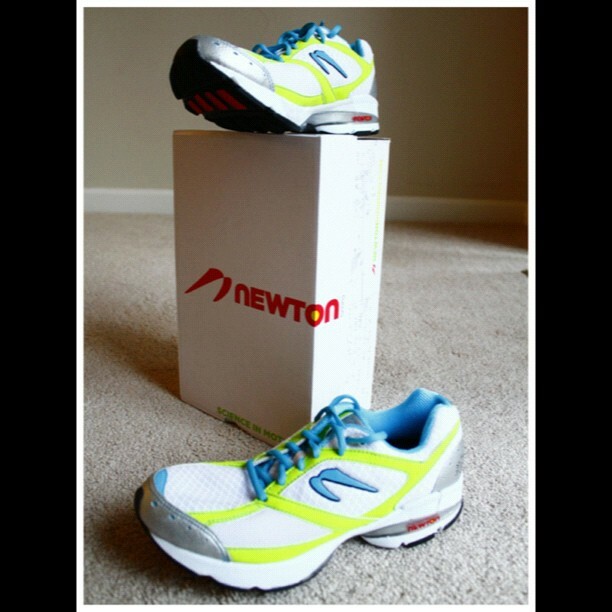 They say your running shoes lose shock absorption, cushioning and stability over time which causes pain and injuries. 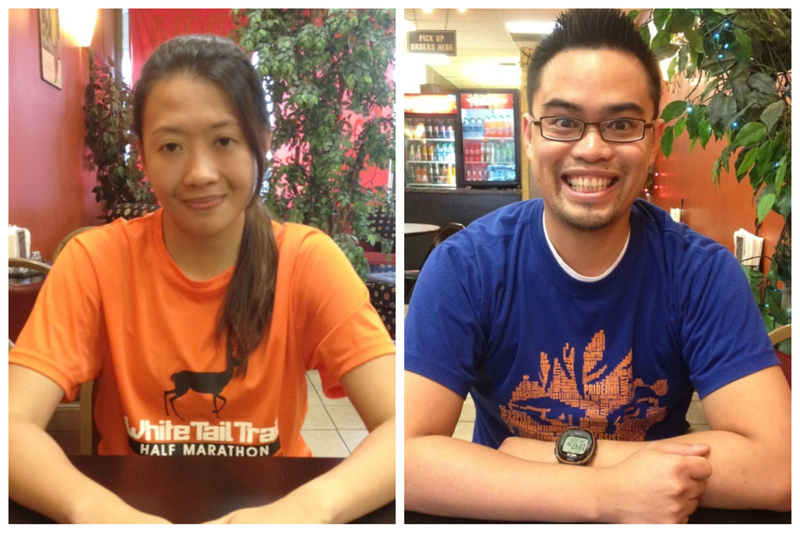 So, with all the pain and discomfort we’re feeling, we finally decided to get new pairs of running shoes. He’s been running with midfoot strike so his transition to Newtons was good. I, on the other hand, who’s still heel striking but would like to transition to a midfoot runner. 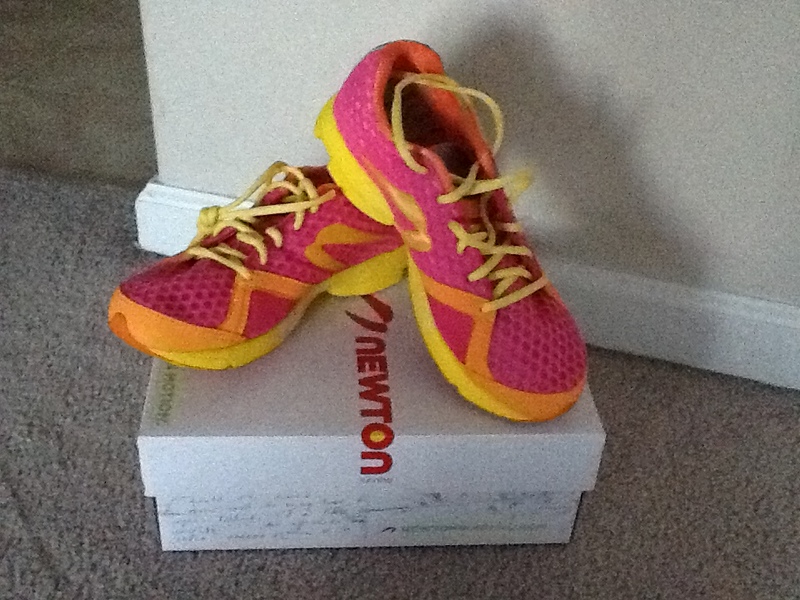 I went from Brooks Pure Cadence (which I really really love) to Newtons Lady Isaac S.
I did a 3-mile test run on this shoe, it didn’t feel right on my feet. It felt a little bulky for me. 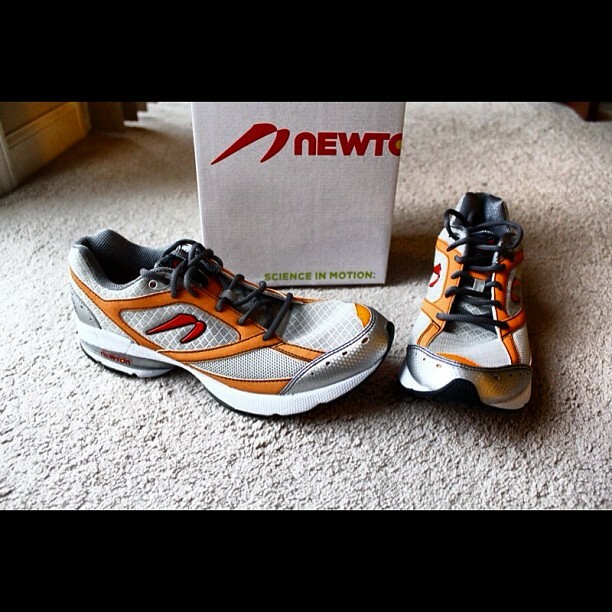 I went back to the store to return the shoes and they recommended the Newtons Distance U for me instead. This definitely feels a lot better than the Isaac. It is close to the feel of my PureCadence. It’s very light and very comfortable. I did a test run yesterday and I felt my calves get a little sore as well as my shins. They said this is common when you are transitioning to this kind of shoes since a midfoot strike engages the calf muscles. It would take time for me to learn the proper running form but I know it’s going to be worth it. 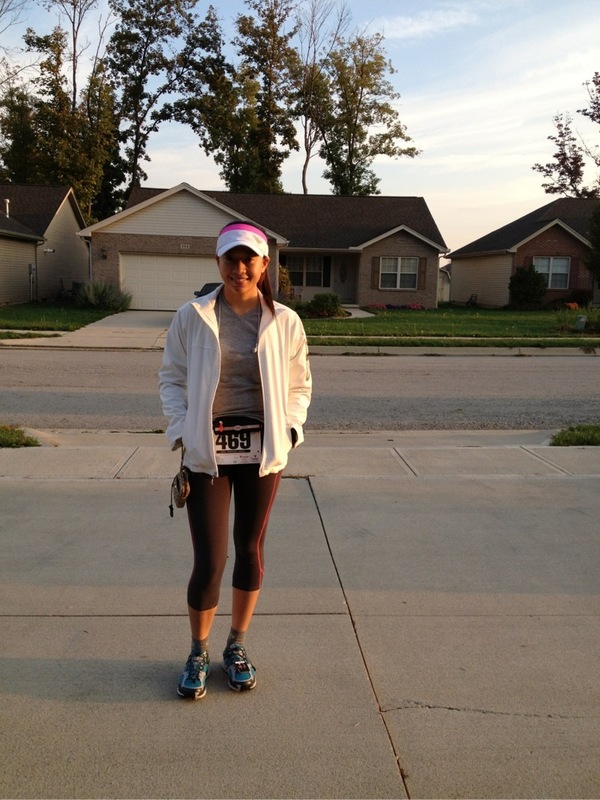 Learning the proper way to run prevents me from injuries and knee pains. I’d probably still wear my old running shoes for my next half marathon race (Indianapolis Monumental Marathon) which is already in two weeks. After that, I will concentrate more with these shoes and my running form. I’ll be turning the big 3-0 on the 26th. It’s the end of my 20s! I’m not quite sure how I feel about that. 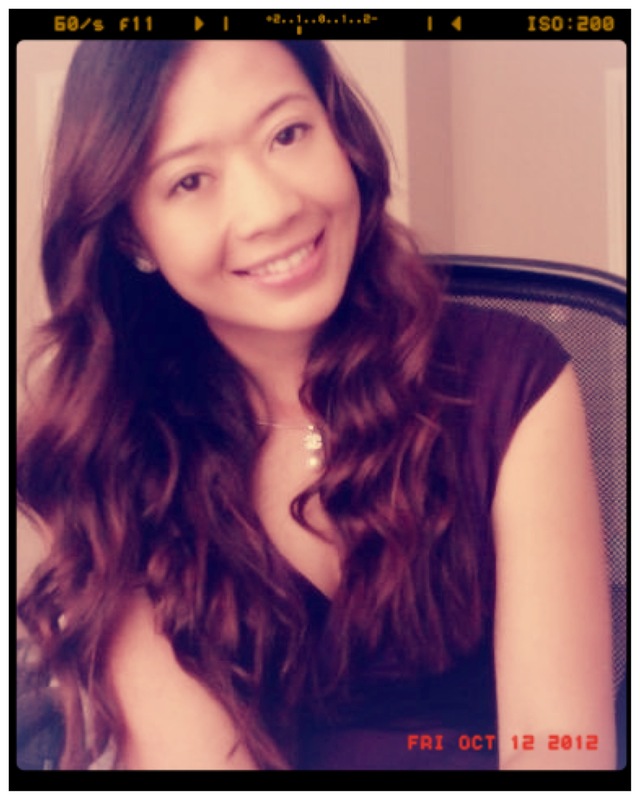 I still get mistaken for being in my teens or early 20s, so I’ve never really felt my age. 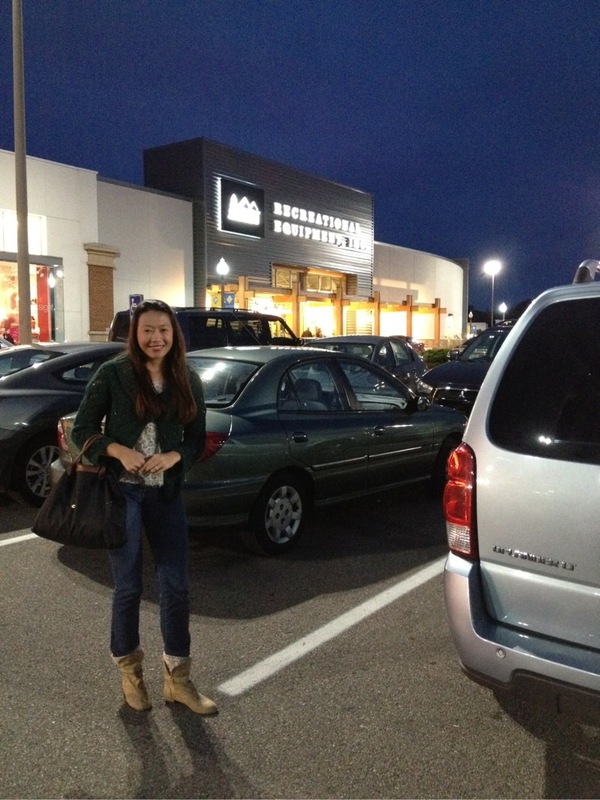 Just last weekend, after we visited REI store, my husband and I ate dinner at a restaurant. 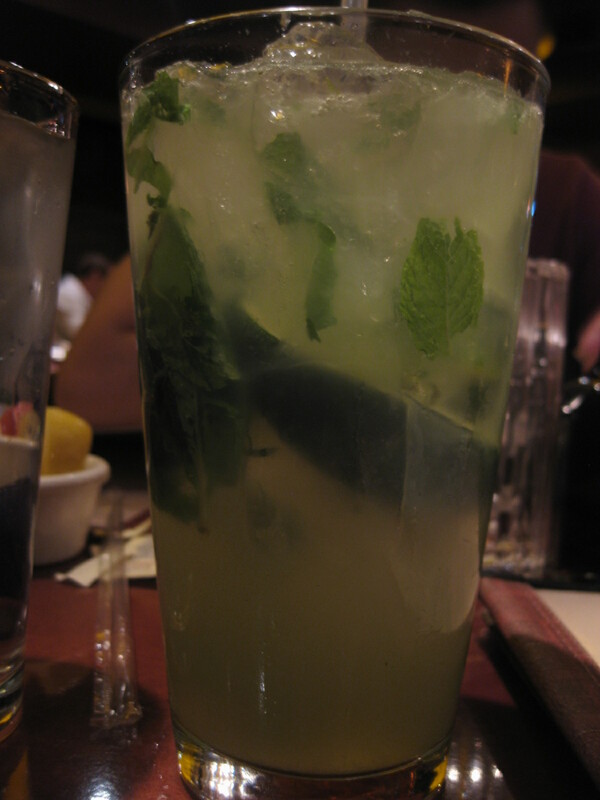 I ordered a mojito and the server asked for my ID. When I handed him my drivers license, he gave me this weird -“really-you’re-29”-look. It’s flattering but sometimes a bit embarrasing. But, I’m kind of excited for my birthday. 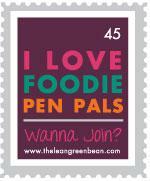 I get a lot of freebies from restaurants and stores. I get free meals in Red Lobster, ice cream in Cold Stone, burger from Arby’s, coffee from Dunkin’ Donuts and Starbucks… etc. 🙂 One of my favorites are the ones I get from Sephora. 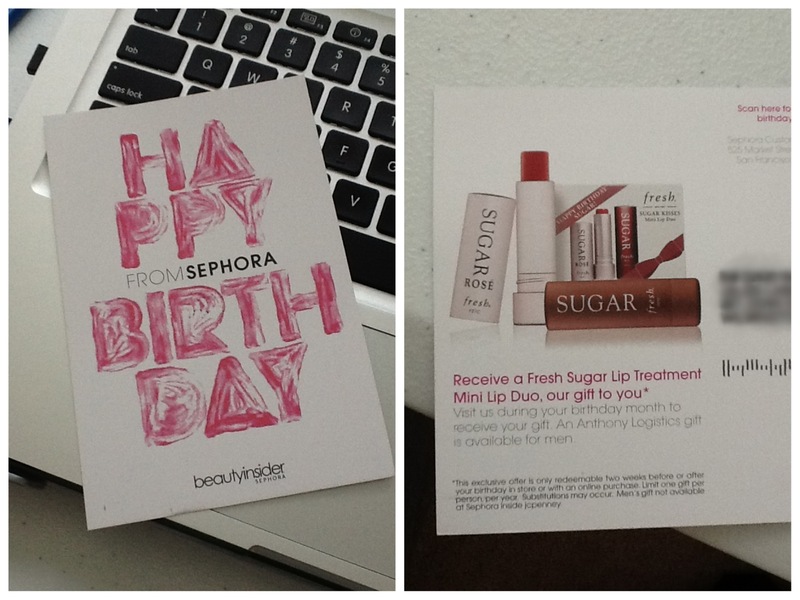 Every year, they never fail to give me awesome birthday gifts. 🙂 I always look forward to getting their card in the mail. I can’t wait to claim this at the store. It’s been amazing to look back and remember the days when I was still in my early 20s- the love, laughter, sadness, and life it gave me. I had a wonderful and beautiful 20s. It was the years that I really ventured out and made decisions for myself. And now, I’m given another year of life to live. I’m grateful for another birthday. I have sooo many things to be thankful for, I don’t even know where to begin. 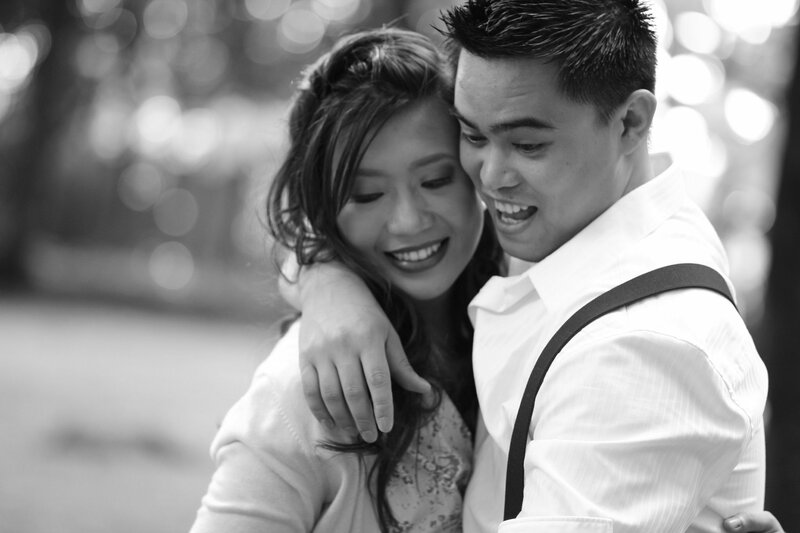 I am thankful for nine years of friendship and three of those being married to the best man on this earth. I love this man! I am thankful for my family, who have always been there for me. I’m thankful for three awesome years of living here in the US. 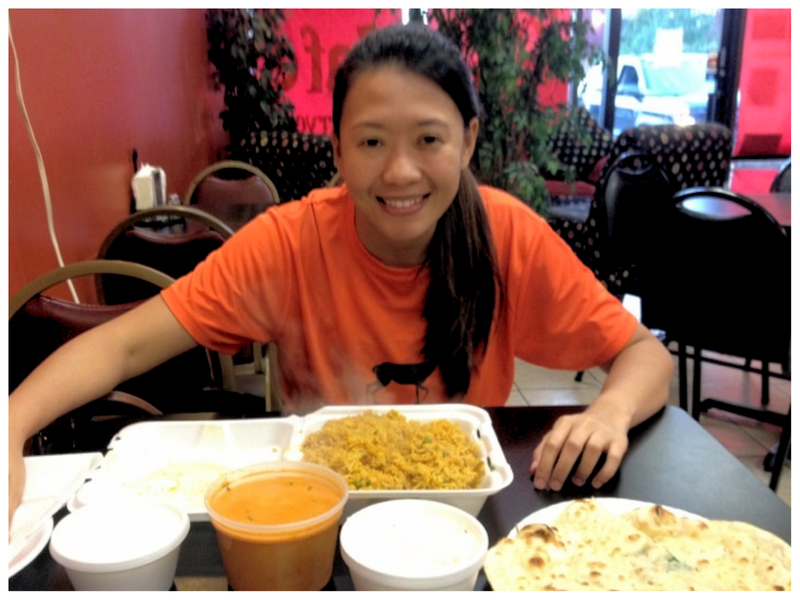 It sure was difficult to adjust with the culture difference but it was one exciting adventure! Thankful for awesome neighbors, my husband’s friends from work, my friends from the Philippines, and my new friends here in the U.S. We have so many! Thankful for nature! I am so refreshed and revived when I get into God’s creation during my trail runs. Thankful for simple pleasures like food, water, …coffee. It’s the simple things in life and sometimes I forget that. So long for now 20s. Thanks for all the memories! Here’s to my 30s and many more years to come, God willing. Cheers! 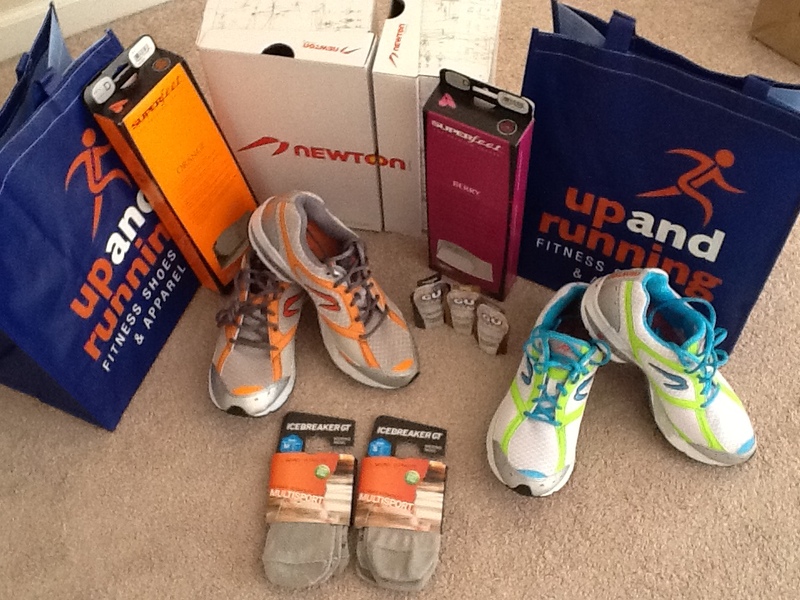 This entry was posted in My Everyday Journey, Product Reviews and tagged birthday, blogging, half marathon, life, october, runner, thankful, thoughts on October 12, 2012 by Ja @Ja on the RUN. Last week, my husband and I watched a documentary film on Netflix called Running the Sahara. Its about three athletes who ran 50 miles a day for 111 days! It’s a great film and very inspiring. They travelled through 6 countries, 4,300+ miles (6,920 kilometers) by foot. To have the physical and mental capacity to do that, is really amazing! 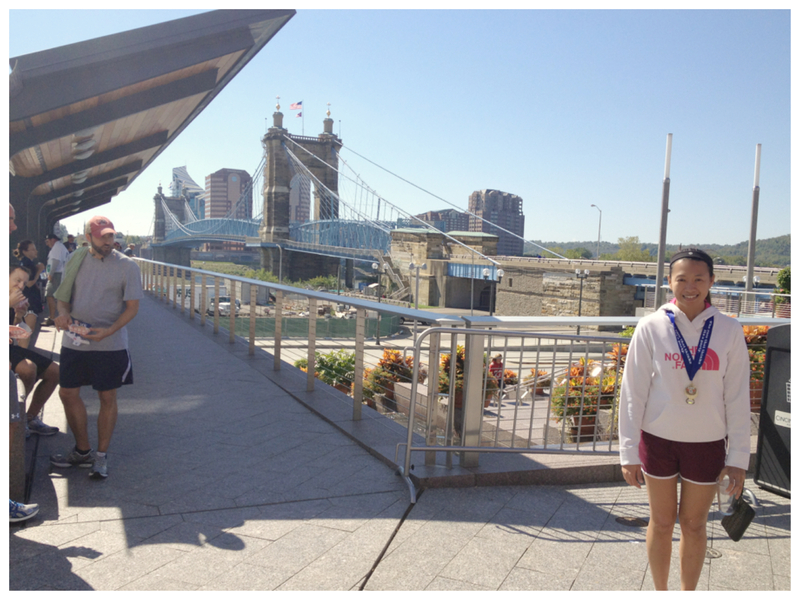 We ran 14 miles, our longest run so far! 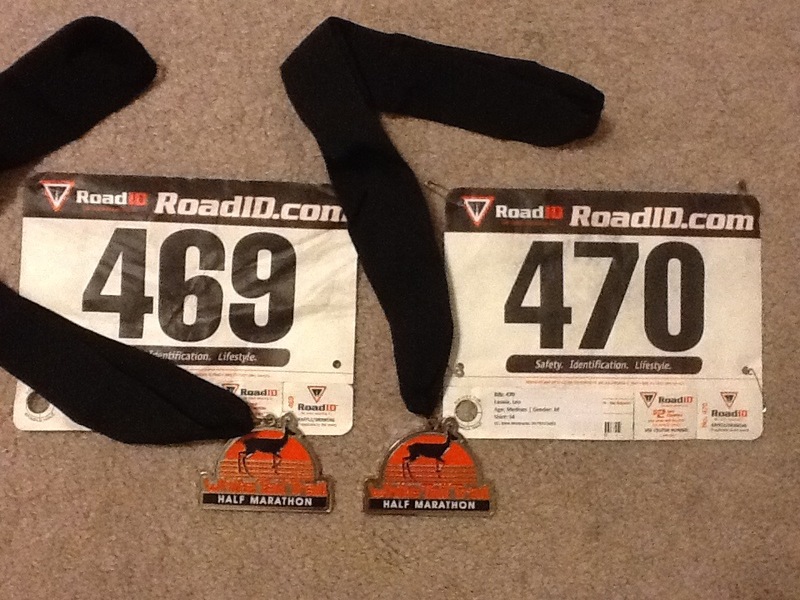 All of my runs have been below or at 13 miles from my half marathon races. I’d never really thought of increasing my mileage, until that day. From then on, I am convinced just how much power your brain can do when it comes to running. 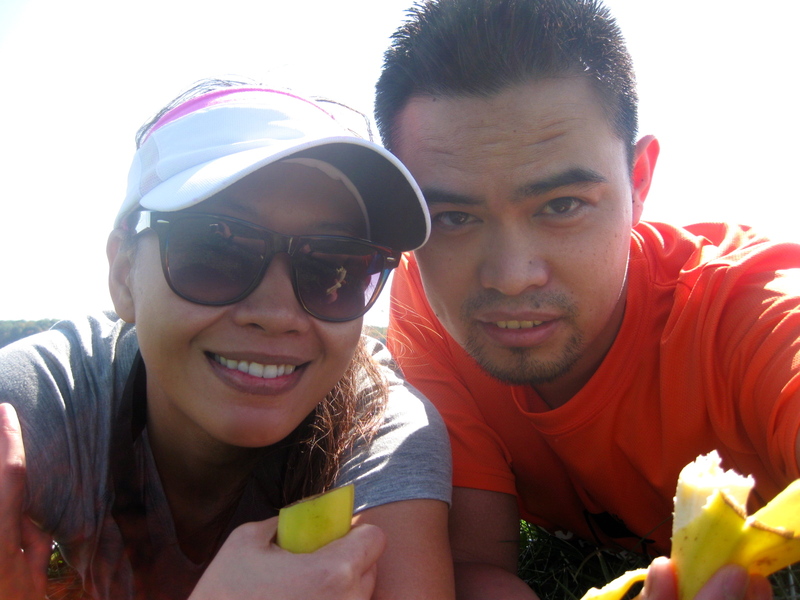 And we plan on slowly increasing our mileage every week, and hopefully soon, we’ll be ready to train for a full marathon. It was so gorgeous that morning! 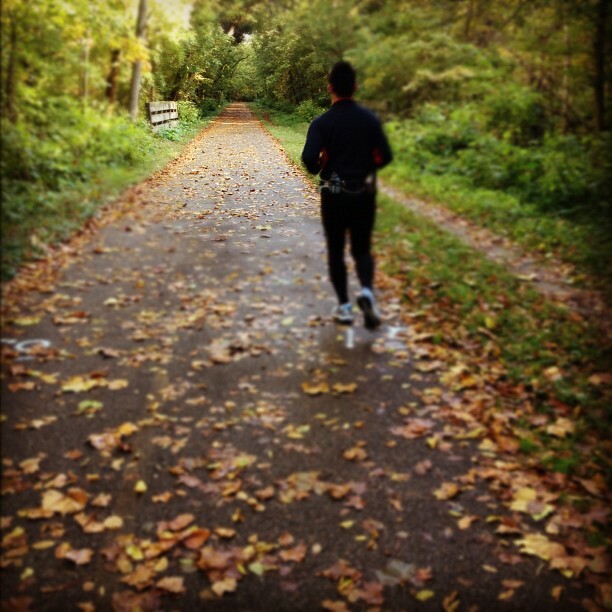 The cool weather (40-50s degrees F) and the views of different colors of trees made our run very enjoyable. I love it! I love Fall Season! 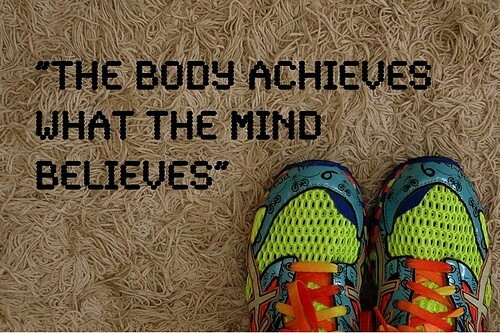 They say, “running is 90% mental, and the rest is physical.” It’s true! It is a mental game. 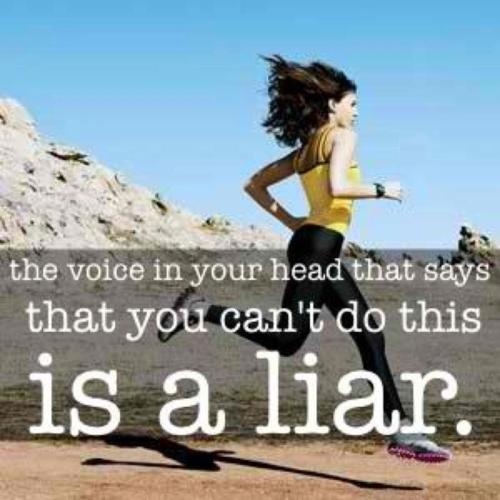 It’s the mental aspect that makes running so tough. If your mind is not into it, chances are you’re not going to have a great run and you’re probably not going to get very far either. Let see how this goes for me. I hope that as I go through my training, I can develop some sort of strategies to be strong mentally. How about you? Do you believe that “mind over matter” is always true? 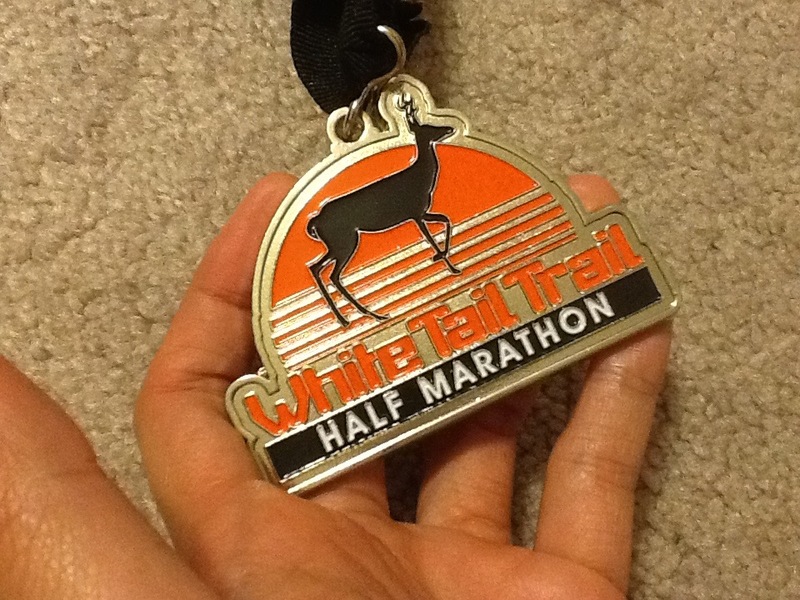 What mental strategies do you use to help yourself through a tough run or a race? 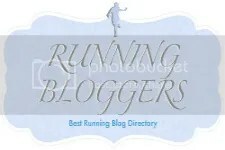 This entry was posted in All About Running, My Everyday Journey and tagged blogging, inspiration, life, marathon, runner, running, thoughts on October 9, 2012 by Ja @Ja on the RUN. We have another race coming up… and it’s tomorrow. Yes, tomorrow! I know, it’s insane. 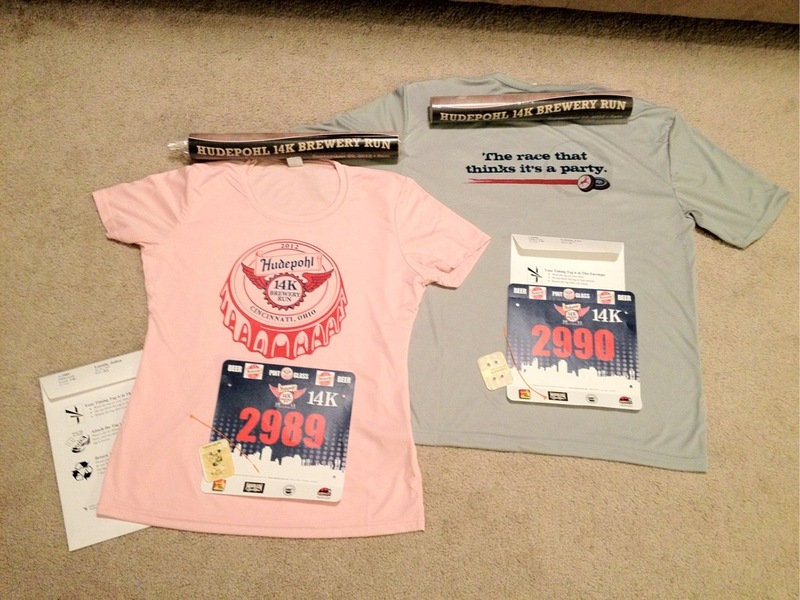 It’s been week after week for my husband and me for these races. And we are loving it! 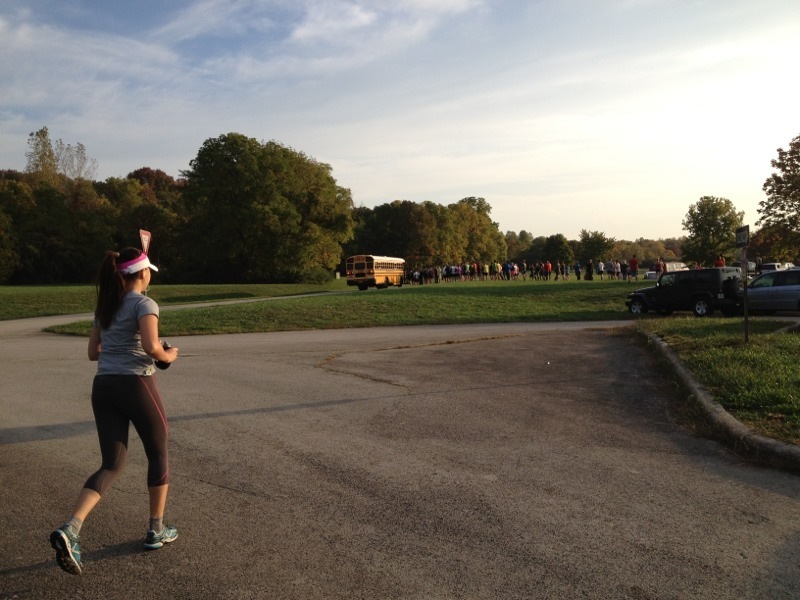 🙂 Fall weather is the perfect time for all these running events and we are definitely grabbing every opportunity we can get before winter season. 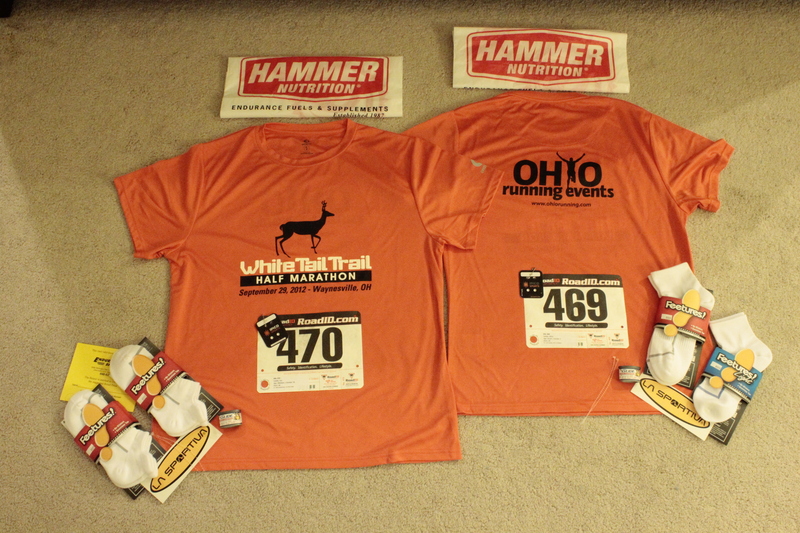 So tomorrow, we are running a trail half marathon. 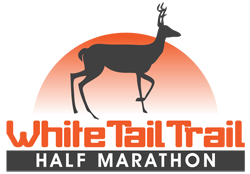 It’s called White Tail Trail Half Marathon. I’ve already mentioned about joining this race in my previous post – Get Off the Road. Go Nature! and it’s the same trail that we are running for tomorrow. 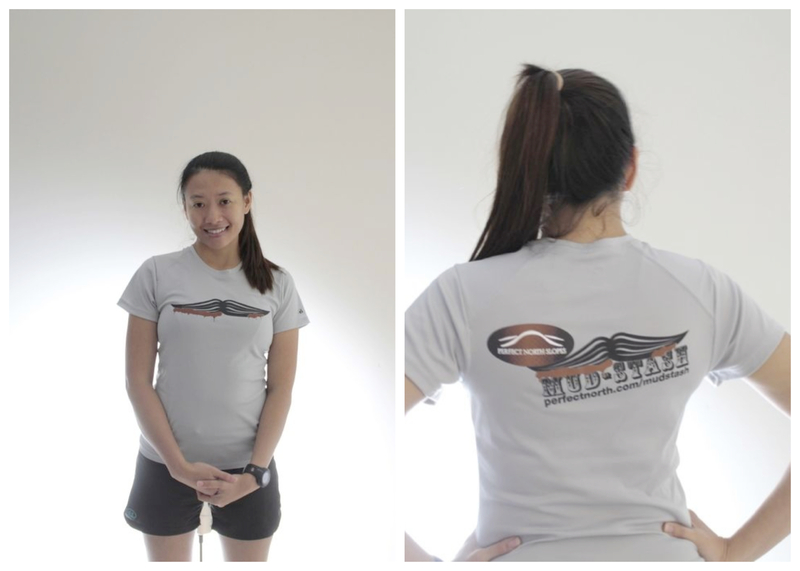 By the way, I wore my Mud-stash shirt to kickboxing class last Wednesday. Sorry for being so pale. This was right after kickboxing class and our instructor pushed us really hard. LOL! I love my shirt! I felt different wearing it! I felt like a warrior. It’s like there’s a “don’t-mess-with-this-girl” kinda feeling. After surviving that mudrun, oh boy, I tell yah, it made me tougher. I used to underestimate my capabilities, but now, I know I can survive anything. 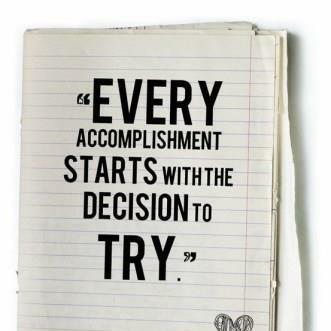 I guess, it’s true when they say – “You’ll never know what your capable of until you try it.” So true. 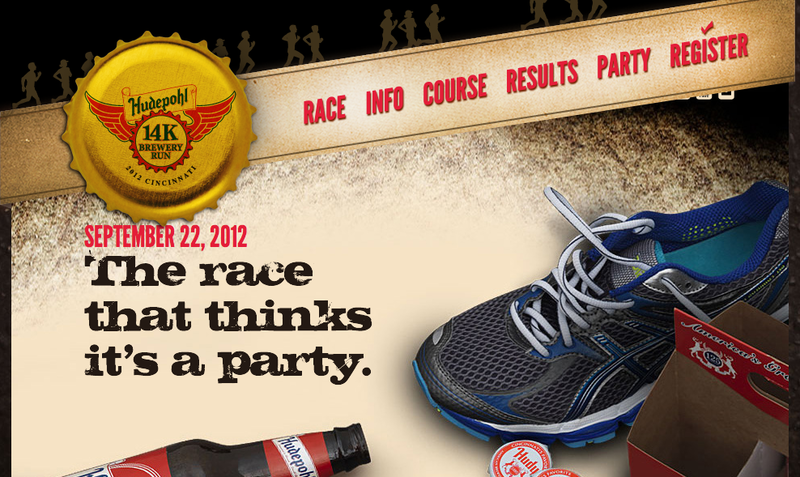 And that’s why I am trying this trail half marathon tomorrow. We usually run in the trails on weekends but I have to admit, I have never tried running longer than 8 miles on a trail. So wish us luck tomorrow. I hope we’ll survive it! 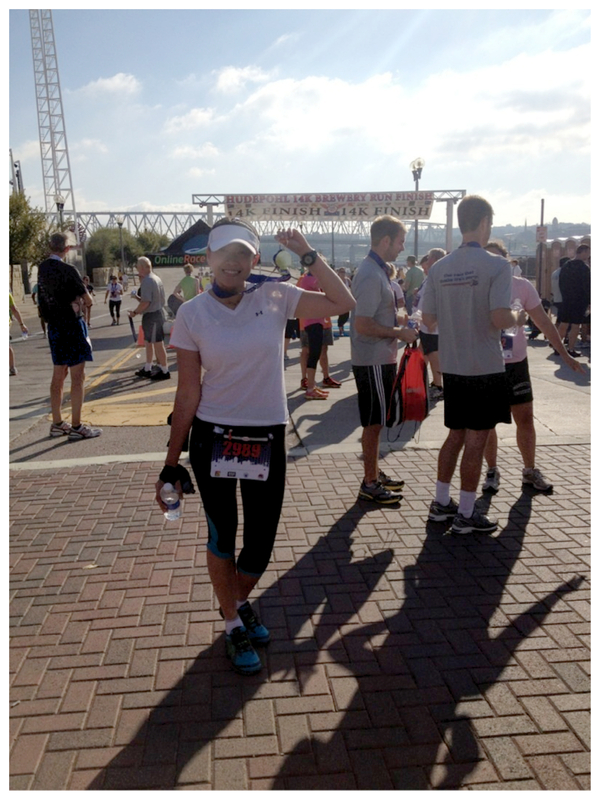 This entry was posted in All About Running, My Everyday Journey, Working-It-Out and tagged blogging, exercise, fitness, half marathon, health, life, ohio running, runner, running, thoughts, trail running, workout on September 28, 2012 by Ja @Ja on the RUN. 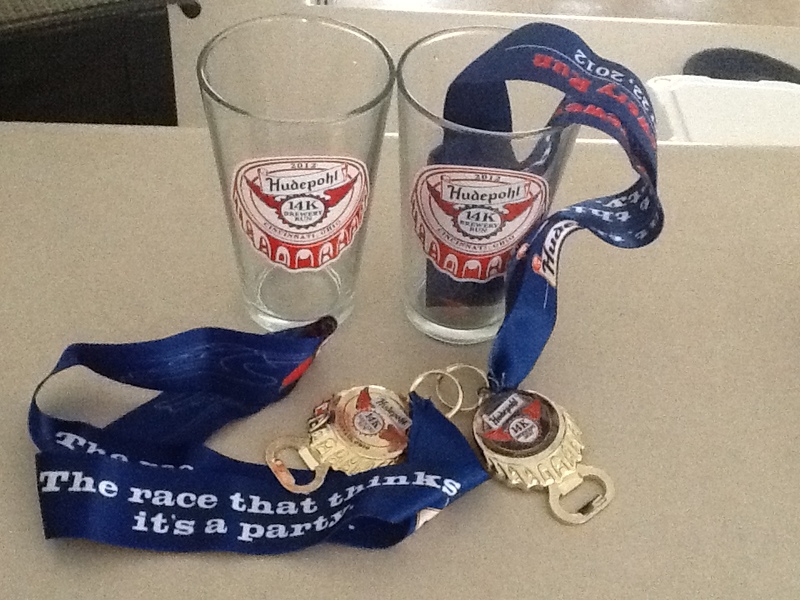 Party after the race + a cool medal, it is indeed a sweet victory. The race started at 8:00 am. We got to the place at around 7:30am. 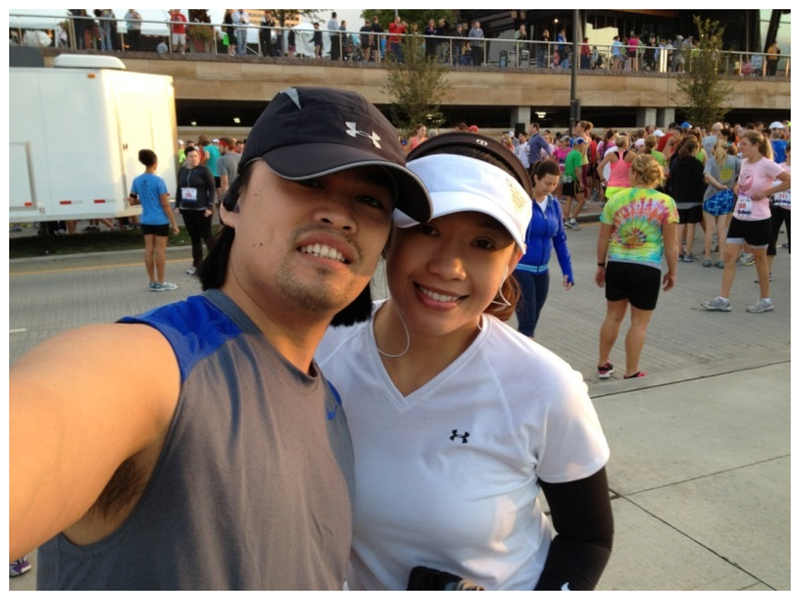 We still had time to do our stretching and take pictures before the race. It was a bit chilly and windy that morning. Fall season is definitely in the air =). I had to wear my arm bands. I like my arm bands because I can easily remove and tuck them in my spi belt when I am already feeling hot from running. The after-race party was held outside of this restaurant Moerlein. 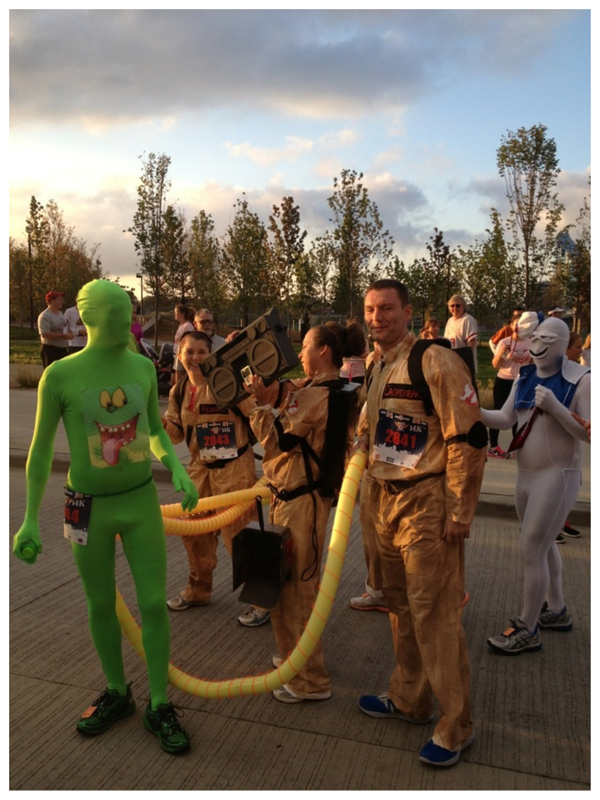 Some ran in teams in their costumes and this team was my favorite! 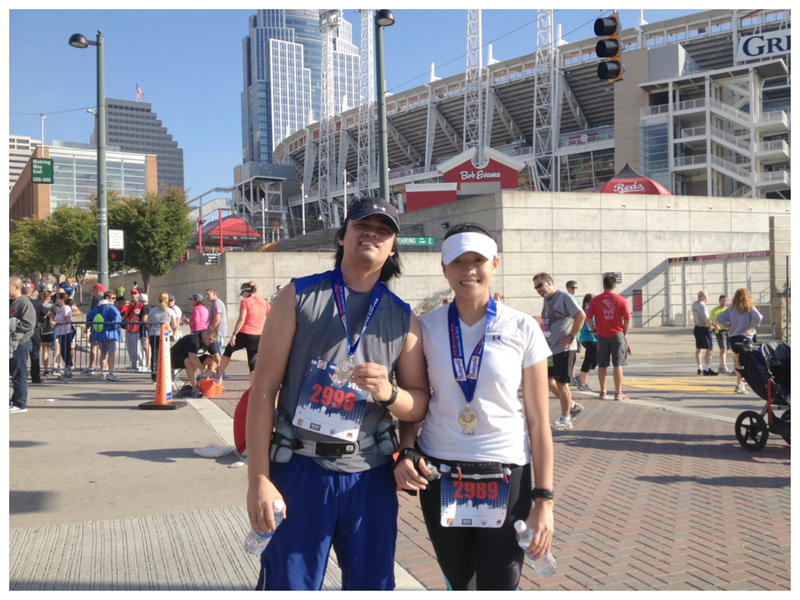 After the race, my husband and I went back to our car to freshen up, change our clothes and get ready to party. 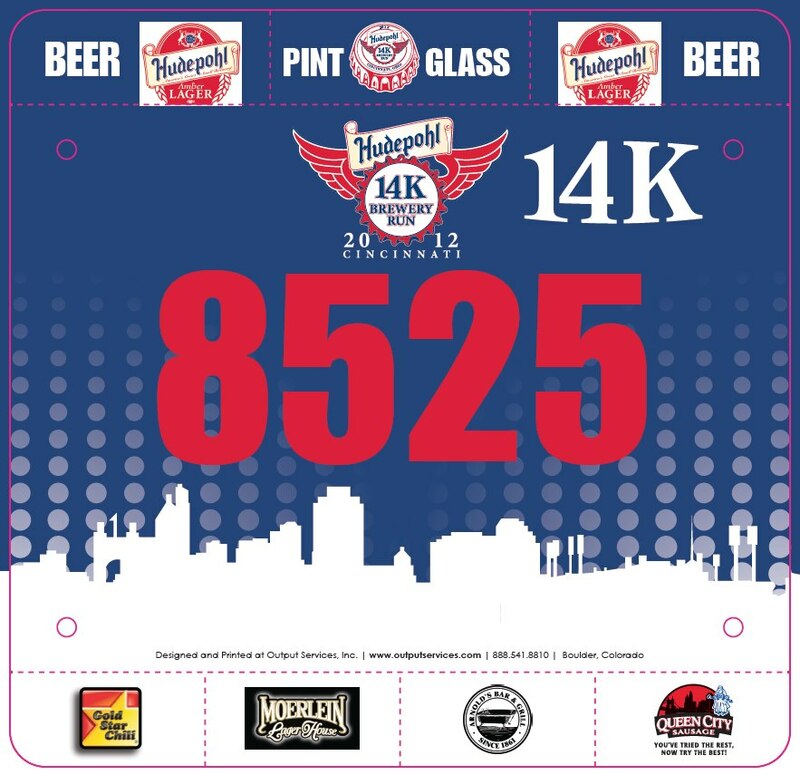 Our bibs have actually stubs attached to it that we can peel off to redeem our free food and beer. 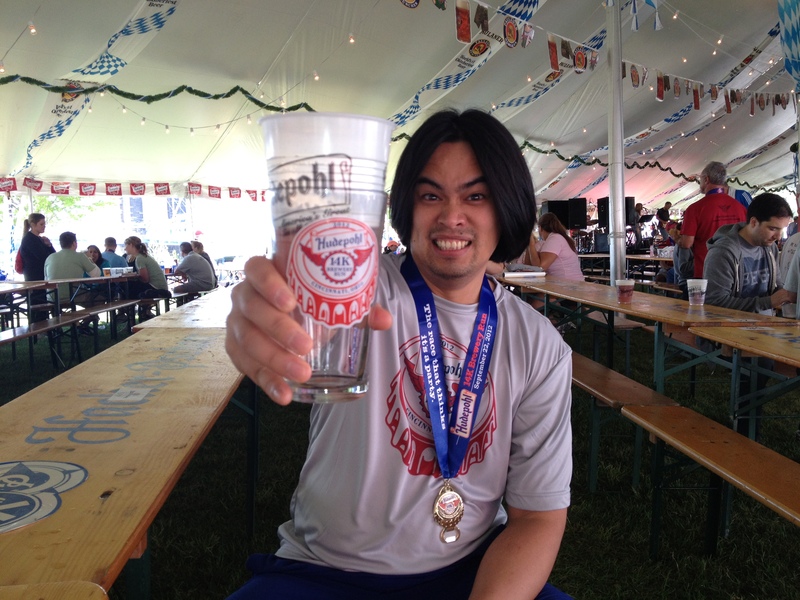 My husband looks like he’s enjoying his share of beer. But we got use of all the food stubs we had! 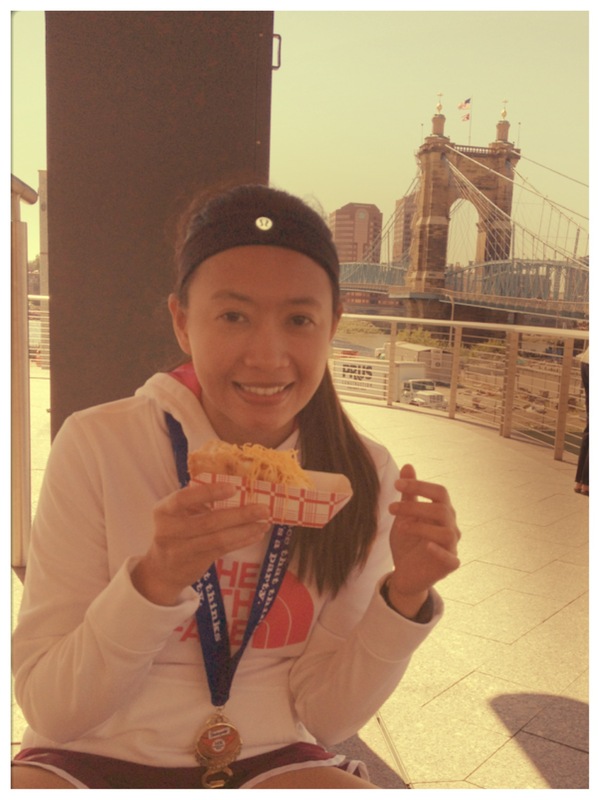 We were so hungry after the race. That’s it for now! Hope you all had an amazing weekend too. 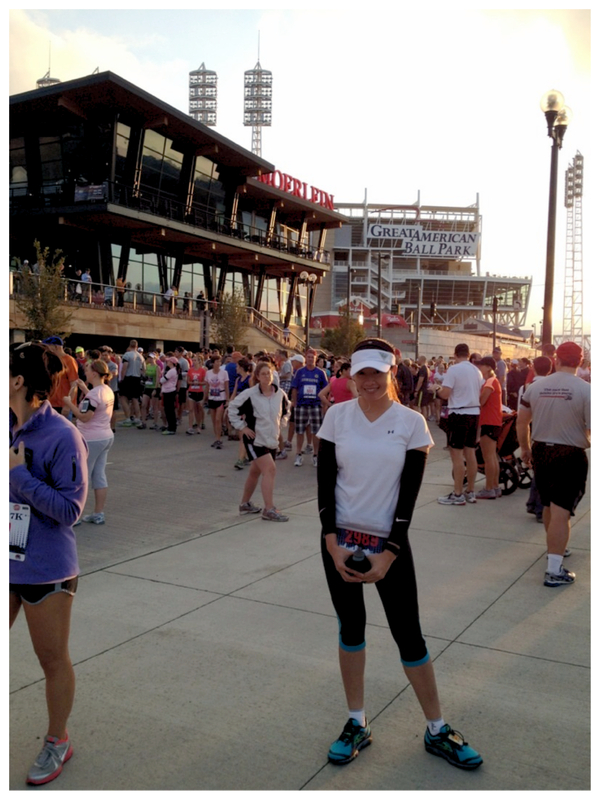 This entry was posted in All About Running, My Everyday Journey and tagged blogging, Brooks Running, exercise, fitness, health, Hudepohl 14k run, life, runner, running, thoughts, workout on September 23, 2012 by Ja @Ja on the RUN. 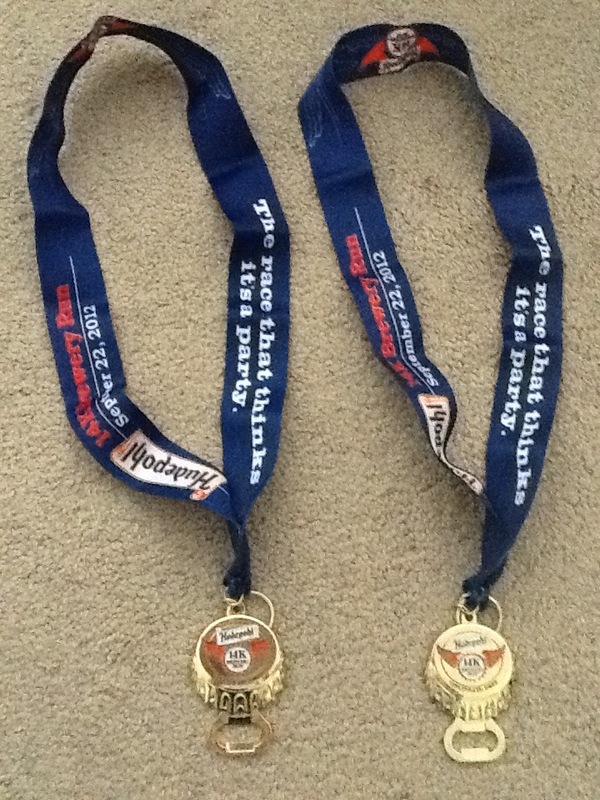 After all, I usually do my long runs on weekends, I thought, why not just join this race and get a medal out of it. 🙂 LOL! Looks fun right?! 🙂 Race & Party, that got me right away! 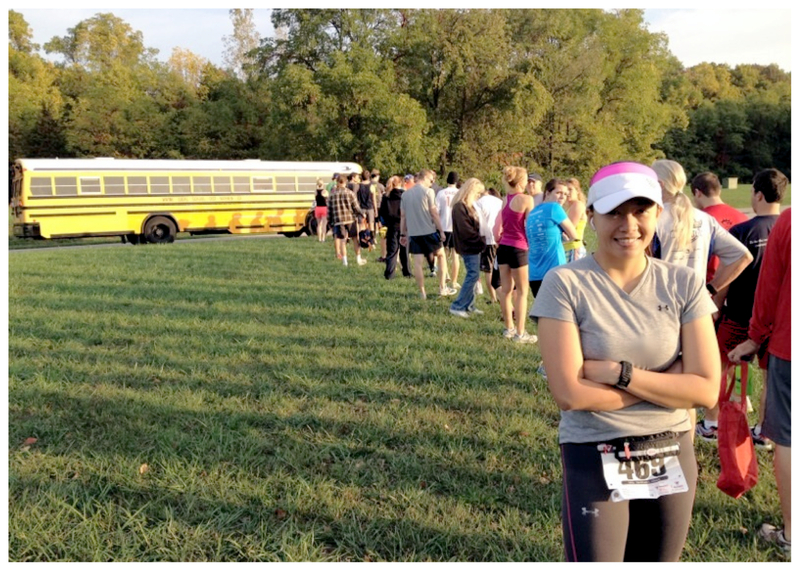 So, I signed up for this race since for me, it’s easier to do a workout when you’re having fun. 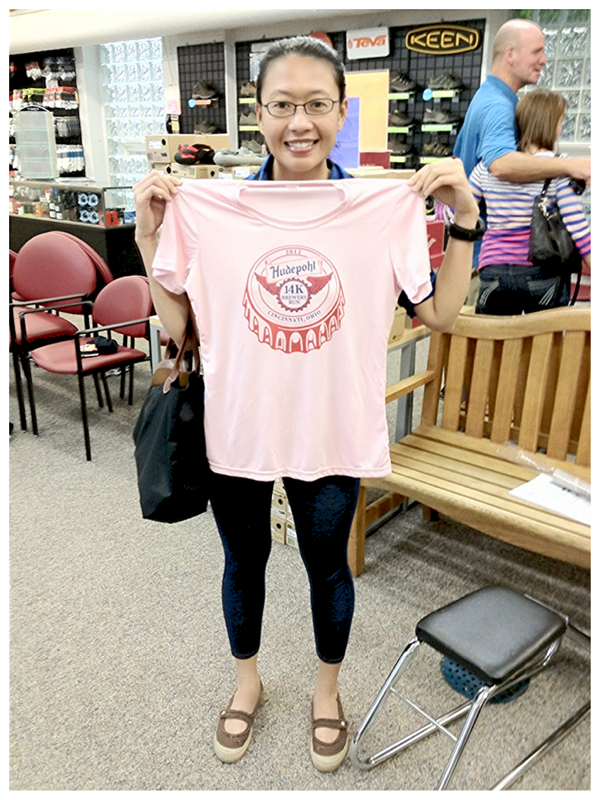 A while ago was packet pick-up, so my husband and I went to the pick-up place and I was so excited to see that their women’s technical shirt is in pink! Yay! I also saw a picture of the medal that we’re getting, it’s actually pretty cool! I will definitely update you after we rock this race tomorrow. 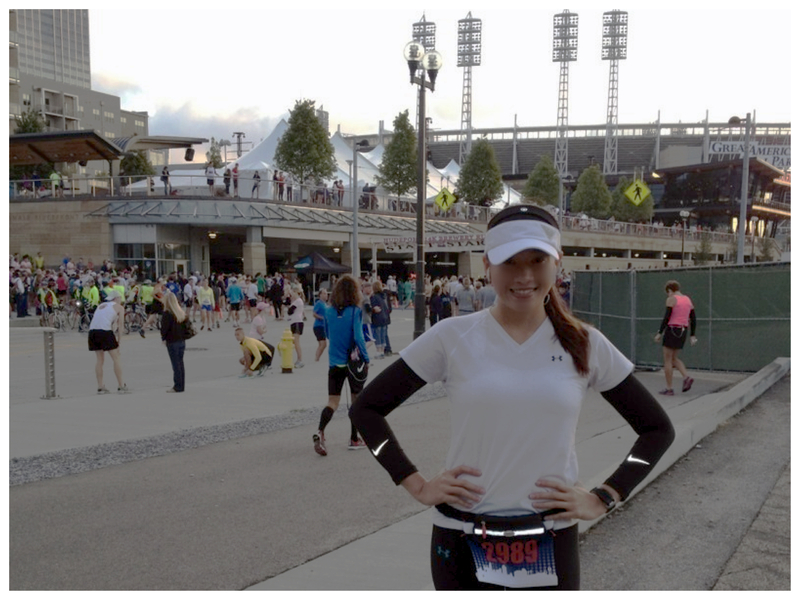 This entry was posted in All About Running, My Everyday Journey and tagged blogging, cincinnati, fitness, health, life, runner, running, sports, thoughts, workout on September 21, 2012 by Ja @Ja on the RUN. T-Minus 1 Day ’til MUDRUN! 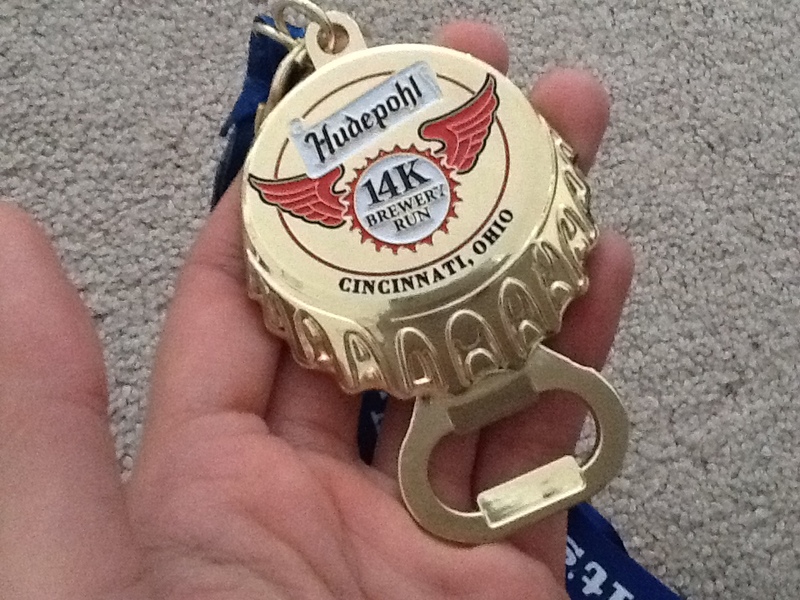 I was planning on taking it easy on my run today because my mudrun race is on Saturday. Yep, 1 more day to go! This used to be my goal when I was doing my interval training. 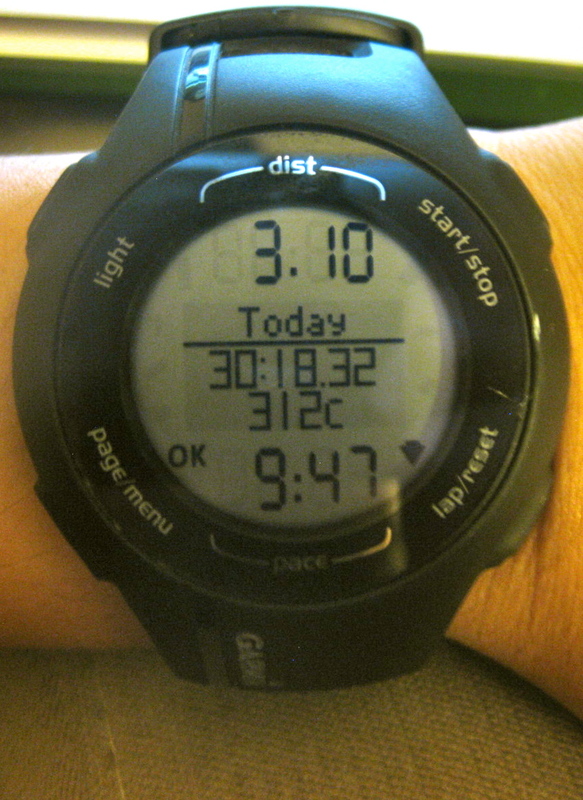 I feel proud of myself that I can finally achieve this with my improved comfortable pace. I worked hard on my interval training and it finally paid off. There’s no way I am stopping what I’m doing. 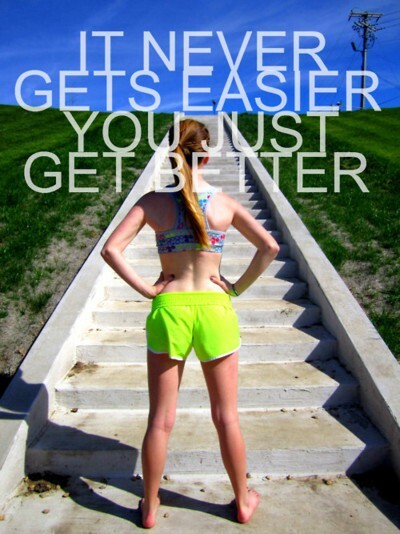 I will definitely keep going to get better. I regularly check updates for our Mudrun on Saturday. I saw in one of their pictures that they’re having monkey bars as part of the obstacle course. 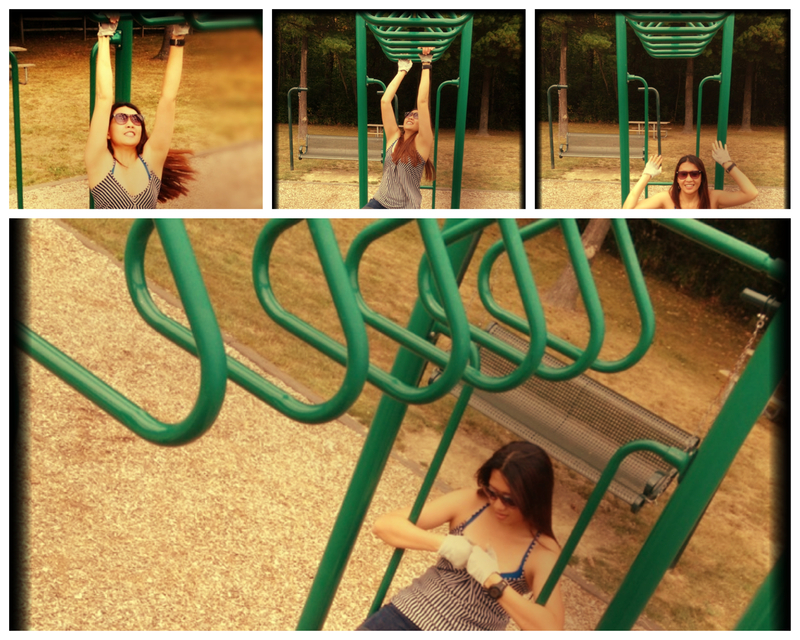 So, a few days ago, I went to the park to try the monkey bars. I failed by the way. Haha. I have weak upper body strength. O well, I’ll just have to figure it out on Saturday. Tomorrow will just be rest day for me. I need to prepare myself for next day’s Mudrun! It’s going to be fun! I’m excited! 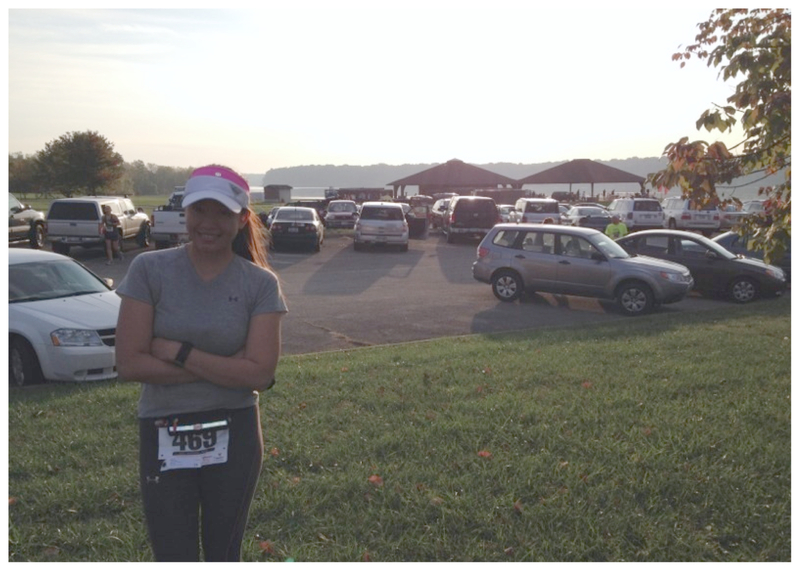 This entry was posted in All About Running, My Everyday Journey and tagged 5k, blog, blogging, fitness, health, life, mudrun, obstacle race, runner, running, thoughts, workout on September 6, 2012 by Ja @Ja on the RUN.